The weather is one of those very unpredictable things that people are always to be one step ahead of. “Should I bring an umbrella?” – is one of humanity’s eternal and unresolvable questions. That’s why we’re always on the lookout for the most accurate weather forecasts to help us structure our schedule around them. Weather apps can obviously be tremendously useful for those that need to be kept constantly updated on the latest weather developments. Since WeatherPro has been getting some good ratings from our lovely AndroidPIT community, I decided to give the app and widget a thorough inspection. 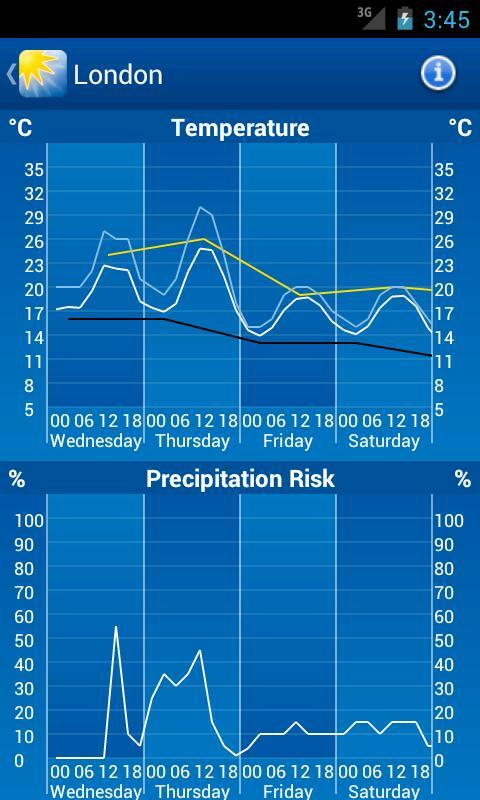 Is WeatherPro the perfect solution for weather forecasts on the go? There’s enough information here to keep track of the weather over a week in advance. Anyone who’s looking for precise forecasts beyond that are doomed to fail. Weather’s just that kind of thing – it’s spontaneous and unpredictable. And that’s just the tip of the iceberg: you can read the forecast by the hour by double-tapping any day. Now that’s some impressive precision! Another cool feature: find out how many minutes of sunlight you’ll get in any given hour! 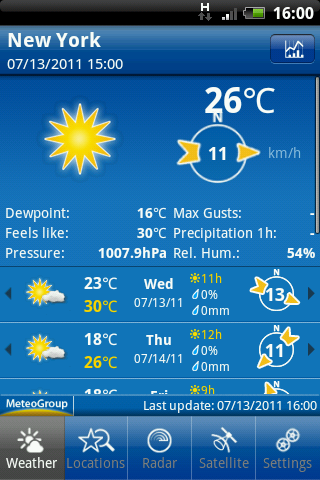 WeatherPro really gets it right. Diagrams, charts and graphs show what the weather will look like in the coming days. Whether it’s temperature, barometric pressure, hours of sunlight or humidity – WeatherPro has got a visual for it. With WeatherPro it’s easy to find out what the weather is like in any part of the world. Even the smallest village at the brink of the earth can be located using the app’s impressive location database. The app automatically locates your current location via GPS or network connection. Just shake your device to update your weather forecast. OK, so finding up-to-date localized weather information isn’t all that hard. 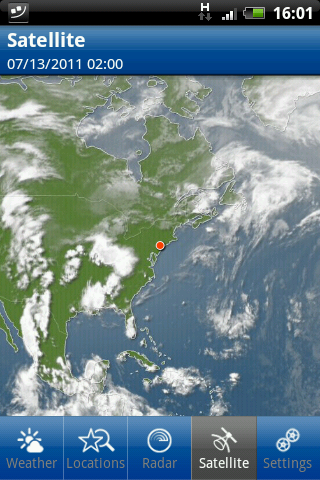 But it’s the radar and satellite features that make WeatherPro an upscale weather app. The rain radar shows you the amount of precipitation at ten minute intervals in multiple areas. Depending on your location, you can track the path of a thunderstorm as it occurs (or even before it happens). The satellite pictures encompass a two hour period and show you accurate pictures from outer space. With both features, you can zoom in and out at will. You can pause, rewind or fast-forward the video to get a more accurate idea of how the weather is going to pan out. Prefer Fahrenheit over Celsius? 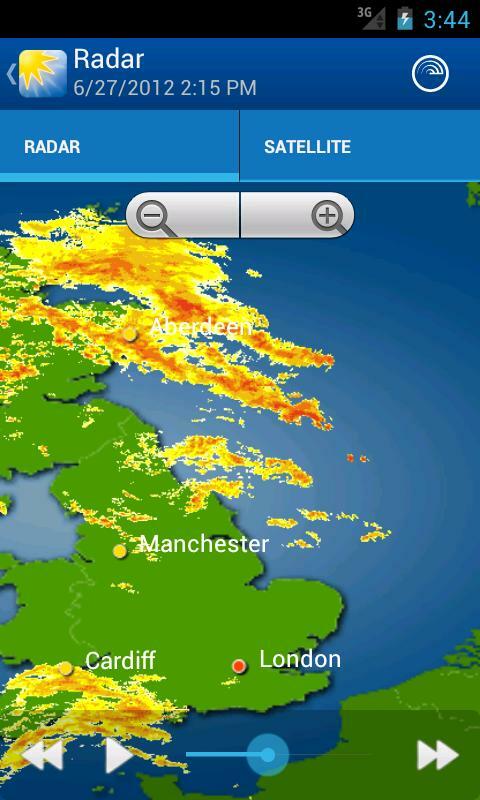 Not a problem with WeatherPro. You can adjust the units to fit your needs for: wind speed, barometric pressure, precipitation etc. We tested this app for you just about a year ago and decided to take a closer look at it once again to see if its place amongst the crème de la crème of weather apps is still well deserved. The new feature My Location was sorely missed in the previous versions of the app. This feature should be especially useful to those who move around or travel a lot and want to know what the weather is like in various locations. Weather Pro now has new widgets for the homescreen that can pretty much be adapted in any way to suit a user's personal preferences. IMO the most important new addition is the weather warning feature which is also integrated into the widgets or – great news for users who don't care much for widgets – the notification bar. This feature should prove to be extremely useful to people who live in high risk zones, but also gardeners, athletes, those who like to spend time out on the water... It's worth mentioning that the data is of varying qualities from one city to the next. The only solution here is to try the app out to see whether it's accurate for the city you live in. From the get-go, you can tell that the controls work perfectly. Everything that’s important stands out and is emphasized by the app layout. With just one tap, you can open a detailed day forecast. On more tap reduces your forecast down to the specific hour. Everything is within easy reach. The weather is presented in a neat and catchy way in WeatherPro. The icons may not be as cool as the ones on HTC Sense 3.0, but they’re still fairly good. WeatherPro is a sturdy and reliable app. No sudden glitches or crashes experienced. WeatherPro can be downloaded for €2.99 from our App Center (or for just €1.49 during our App of Week Promo). I look on the window and smile: the sun is out. Then I look into the phone and I see I can go to the weekend because I have 3 days of sunshine. Let's go to sunshine! I found on holiday in Romania, Bulgaria and Poland, that I did not have a very good weather app. I downloaded this one for 10p and I am considering buying the premium version. I would like to live abroad and 'the weather' is a key consideration! Unfortunately at the moment, the weather in Romania is similar to the weather in Bonnie Scotland. So Romania is not such a bargain! In order to assess the situation in a place, I need the current weather information, forecasting the future and most importantly, the weather data of the last days. It is e.g. for a winter sports enthusiasts a great difference, whether in an area where now is a temperature of -15 ° C, the last 7 days, a temperature of +10 ° C or -20 ° C was. Unfortunately there is no past record in this WeatherPro App, so this app is for mountain climbers, hikers, white water sports, winter sports, etc. only partially useful. The past weather data is not recommended for all users, so you should be able to configure the duration of past weather data on attitudes. WeatherPro with past weather data would be the 1A app for outdoor sports enthusiasts.